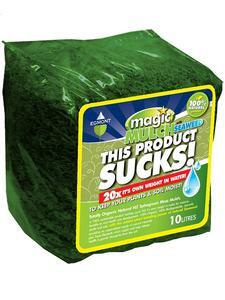 Magic Mulch, amazing retention of water and ideal for use as a base for planting. Provides a great supply of natural minerals and trace elements which provides growth stimulants from the soil. Can hold up to 20 x times its own weight in water and it a great way to conserve water.